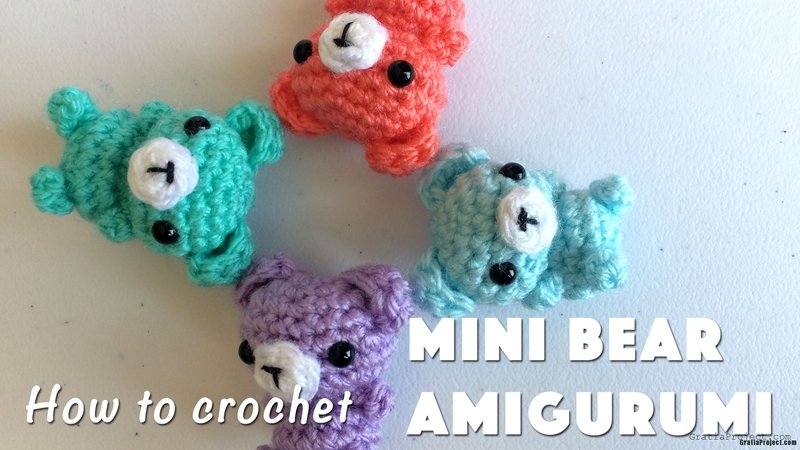 This is tutorial about how to crochet Mini Bear Amigurumi. In this tutorial, I used I used Stylecraft Special DK yarn and 3 mm crochet hook (or 5/0 Japanese size hook). Finished size is about 1.5 inches. Don’t cut the yarn. Continue making the ‘BODY’. Cut yarn leaving a 40-inches tail. 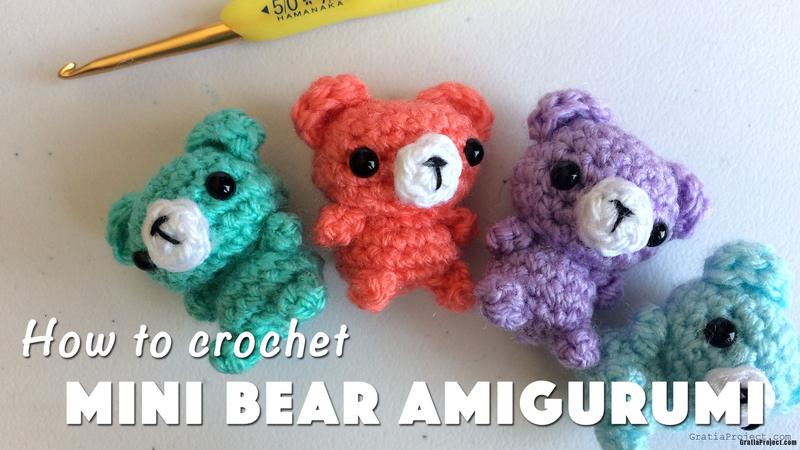 Use smaller hook to crochet arms, legs, and tail. Ch 4. Sc in 2nd loop from hook. Sc 2. Secure yarn. Insert safety eyes between Round 5 and 6, about 4 stitches apart. In a Magic Ring, ch 3. Dc 4. Secure yarn and cut it. Position the ears, sew in place, hide leftover tails inside. Use white yarn. In a Magic Ring, ch 1. Sc 5. Cut the yarn. Join with invisible slip stitch. Position the nose & mouth, sew in place, hide leftover tails inside.